I hope to see you all there. This is your last chance for a while to buy my board game prints! 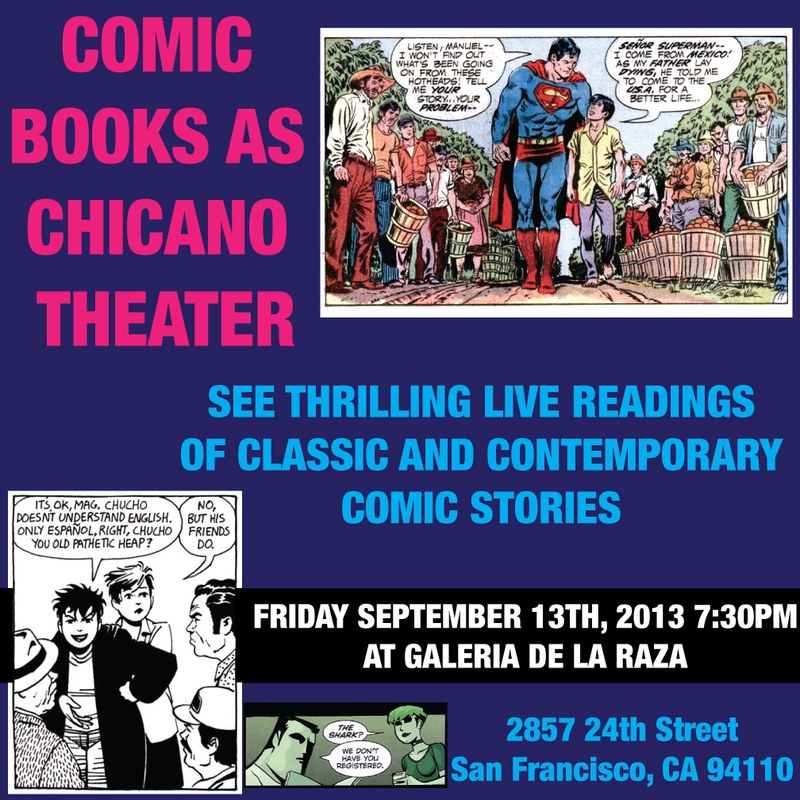 Come see stories from Love and Rockets, Superman, and Powers performed by a troupe of performers inside of an art gallery! Previous postPocho Adventure Club Game Night! This was such an awesome event. So much fun to do a dramatic reading from comic books with a great cast of characters while the pages of the comics were projected overhead. Also great to see a few families and the look of joy on the kids faces. Such a great night! Congratulations to Rio Yañez for great ideas for events to bring folks into La Galeria de la Raza, including a game night with game boards designed by Rio featuring Selena, Cholas and Dinosaurs OH MY! And for the exhibit of his clever and inspiring art work. the blogosphere. Simple but very accurate information… Thanks for sharing this one.